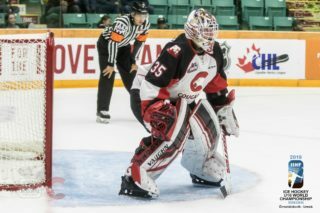 Today the Western Hockey League released the 2018 Pre-Season schedule and the Prince George Cougars will play five exhibitions games, one in August and four in September. Of the five exhibition games, four are on the road, including the Cougars pre-season opener on Friday, August 31st against the Kamloops Blazers at 7 pm. The follow night (September 1st) the Cougars face the Kelowna Rockets at Prospera Place at 7:05 pm. 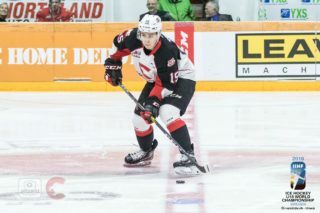 One week later the Cougars are once again on the road, when they head to the Langley Events Centre, where the Vancouver Giants are hosting a pre-season tournament. The Cougars play the Giants on Saturday, September 8th at 7pm, and the Victoria Royals at noon on Sunday, September 9th. The Cougars lone home pre-season game takes place the following Saturday, September 15th, when they welcome the Blazers for a 7:00 pm tilt at the CN Centre. CLICK HERE to download a copy of the 2018 WHL pre-season schedule. 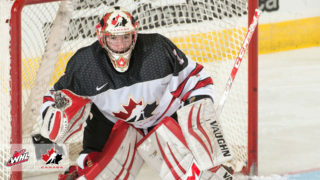 Season Memberships for the 25th anniversary season of Prince George Cougars hockey are on sale. 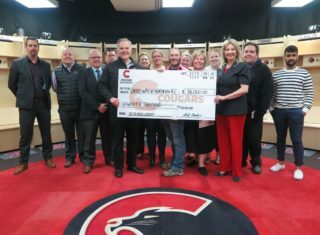 For more information, visit www.pgcougars.com or call (250) 561-0783, to learn about the many benefits of being a season member!